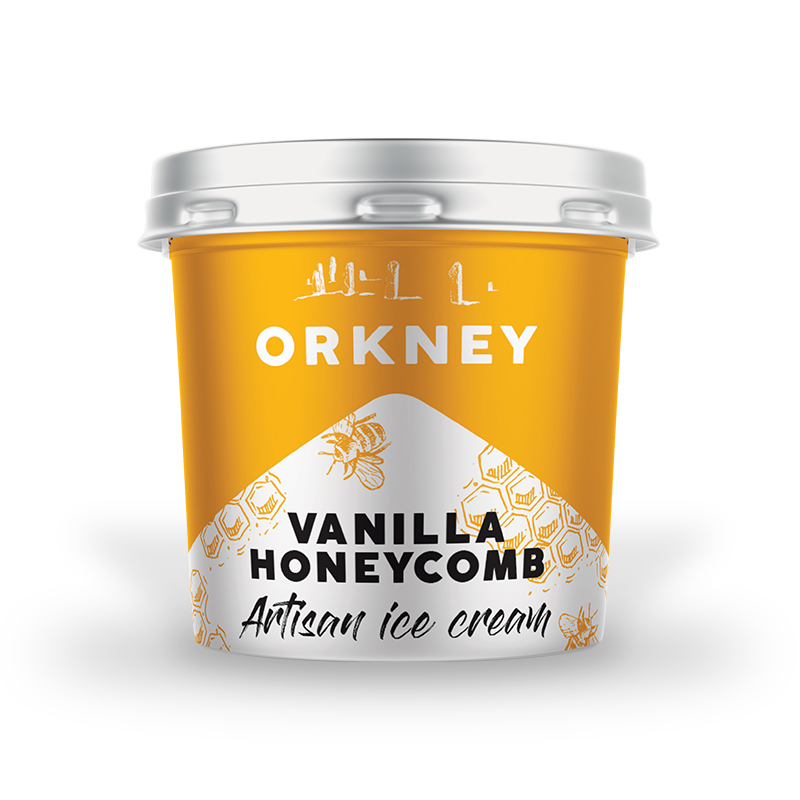 Exotic essence mingles with sweet confectionery in a creamy-crunchy couplet as seductive as an Orcadian sonnet. Whole Milk, Double Cream (Milk), Honeycomb (12%) (Sugar, Glucose Syrup, Nonhydrogentaed Vegetable Fat, Sodium Bicarbonate), Sugar, Dried Skimmed Milk (Milk), Emulsifier (Mono- and diglycerides of fatty acids), Stabilisers (Sodium alginate) (Milk), Madagascan Vanilla (0.5%). 12 months from manufacture at -18C or below. Once thawed do not refreeze. For Best Before End date, see base of tub.